“La Ferme du Parc” reign in this small valley of “La Roche” for more than 300 years. Lulled by “La Dendre” which flows just besides the barn, the farm always kept its agrarian vocation engraved in the stone of the porch : « Pro Rore Et Aratro », which means « By the Dew and the Plow » in latin. 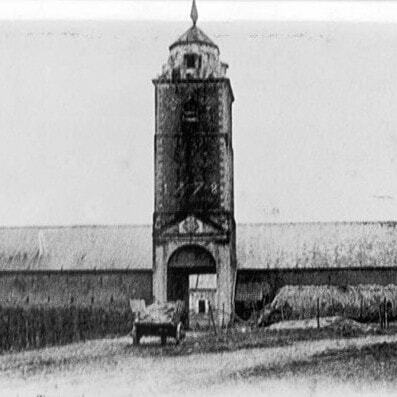 It is the Saint-Denis-en-Brocqueroie monks that constructed this square farm according to the principle of self-sufficiency. 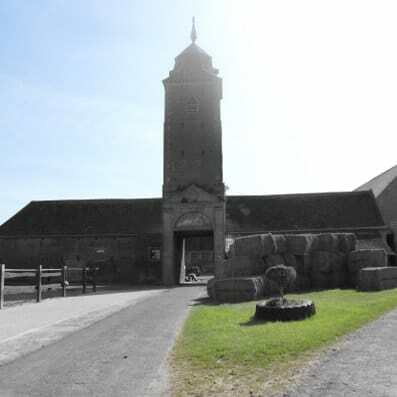 “The Dendre” provided water and fish, the pigeon house acted as means of communication and larder, in the barn people stocked hay and straw for the animals. for all occupiers and workers. An outside arena of green sand of 900 square metres and a round pen of 15 metres in diameters, 12 hectares of pasture with new fences, shelters, 28 solid, ample and comfortable boxs, loose stables for foals, insemination and echography facility, and it continues every year. Started in 2008 with the purchase of one mare, ESM Nejma El Raïtz, Al Manzah Arabians Stud counts from now on between 15 to 20 Arabian Pure Bred and Straight Egyptian horses. Today, the pension welcomes between 20 to 25 horses in calm, comfort and friendliness.